AUSTRALIA'S "best-kept secret" a hot spot for retirees is right here under our nose with more people aged 70 than any other age. Bargara is known as the "Goldilocks region", our seaside strip where it's not too cold and not too hot and where everything is just right. 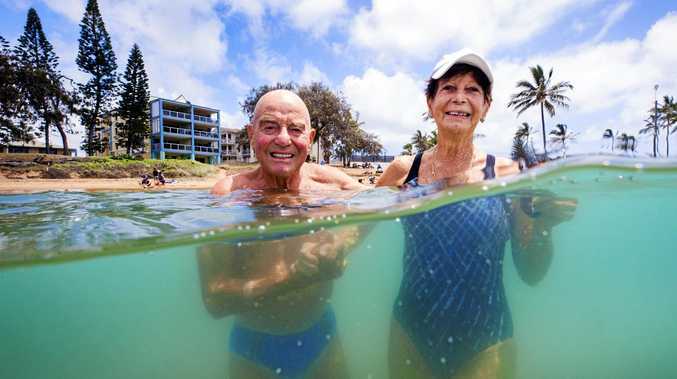 Data shows Bargara is one of the top five retirement destinations in Queensland, according to analysis by The Demographics Group. Earlier this year Kaye Nicholls, 62, who moved to Bargara with husband Bob, 67, after visiting family in the area said "it's a hidden secret". She and Bob have a beach side unit across the road from the golf club and play nearly every day of the week. Club president Janine Smith, 66, said Bargara had everything she needed while fellow club member Allison Jackson, 58, said she and husband Rory loved the area. Couple Markus, 81, and Jannette Widmer, 83, moved from the Sunshine Coast 18 months ago, drawn to the laid-back lifestyle and waterfront. "Where we live is wonder wonderful," Mr Widmer said. At the time Bundaberg Mayor Jack Dempsey agreed saying Bargara was a hidden jewel. "It's Australia's best-kept secret," he said. Leading demographer Bernard Salt said the region can expect to see more growth in our aged population, prompting the need for increased aged care services. Mr Salt said the sector would present an employment opportunity for the region.